South by Southwest is a festival where you know you’re always going to miss something, but hopefully, you stumble onto some pretty amazing movies or moments on your own. Just days before Beto O’Rourke would confirm his presidential run, the Paramount Theatre premiered the upcoming HBO documentary “Running with Beto” to an audience packed with supporters. A number of Beto shirts were scattered in the crowd of blue outfits, perhaps a nod to the politician’s trusty light blue button-down shirt tucked into his jeans and with the sleeves rolled up. When the lights went down and the O’Rourke family took their seats with director David Modigliani and crew, the audience cheered and a few tried to take pictures. Watching the movie in one of Texas most liberal cities with a crowd of Beto’s fans and campaign staff was like watching a football game on the side of the home team. There were cheers, whoops and whistles when O’Rourke arrived on the big screen, and there were jeers and hisses when his opponent, Ted Cruz, arrives to attack him or mock the Democratic Party. Like Rachel Lears’ “Knock Down the House,” Modigliani’s documentary details the grueling grassroots work of local and statewide politics, the ardor of meet people face-to-face and the David and Goliath feel of taking on deep-seated conservatives. It’s not always a flattering portrait of the rising political star, but it’s a deeply fascinating look at O’Rourke’s persistence and perfectionism. At the post-screening Q&A, a supporter asked O’Rourke if he would run for president, and the politician dodged the question politely, and I could hear a few deflated sighs around the theater. They didn’t have to wait long for his eventual answer. 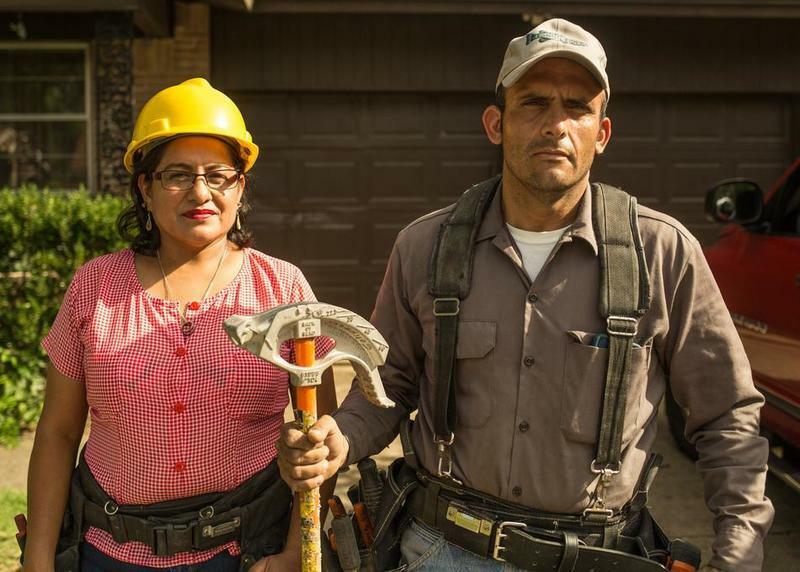 I found another Texas gem in Chelsea Hernandez’s unflinching documentary, “Building the American Dream.” The hard-hitting documentary examines the recent boom in Texas’ economy and the toll it’s taken immigrant laborers, many of whom work tireless hours without breaks, work with no protection and are susceptible to exploitation by shady contractors who know their undocumented workforce cannot go to the police for help. It’s a scrappy film that’s been long-in-the-works, but that work has paid off into a journalistic investigation of the business arguments against better working conditions for day laborers and the high death rates caused by lack of oversight. Coupled with what we now know happening along the border and in detention centers, it’s a perfect look at how the criminalization of immigrants has trickled into other parts of life. I sought out “Well Groomed” on the last day of the festival because after many stressful “will I make this movie or not” sprints to the next venue, I wanted to unwind with a straightforward, feel-good documentary about passionate people, their unusual creative hobby and their adorable dogs. I was not disappointed. Like a real-life version of Christopher Guest’s “Best in Show,” “Well Groomed” follows the high stakes world of creative dog grooming through the experiences of several women and their beloved pets. What is creative dog grooming you might ask? 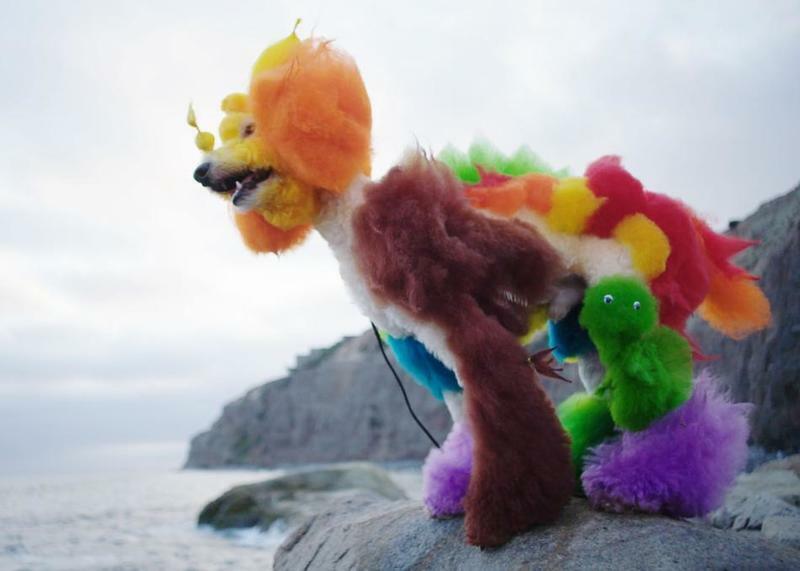 It’s dying a dog’s hairs into vivid Rainbow Brite colors, flat ironing and teasing out their fur into cartoon shapes and adding glitter, rhinestones and maybe a blinking LED light for extra flair. All of the subjects and almost all of their competitors were all women, many of whom work as dog groomers for their day jobs. They found a corner of their lives to express themselves, tap into their creativity and spend extra hours with their dogs.